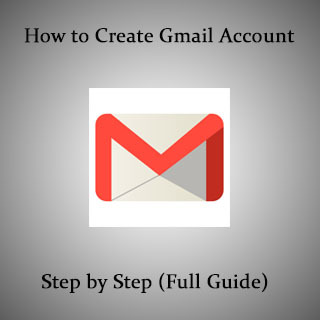 How to Create Gmail Account Step by step (Full Guide). Do you also want to create your own email account by yourself? So, you are at right place. Hey Guys, I welcome you to Geeabo.com, In the Geeabo Community you get a new one article every day. Where I try to tell you some important things about the world of Internet, Smartphones, PCs and more. So before starting friends, let’s know little about what is Gmail? and Advantages of Creating Gmail Account. What is Gmail? Advantages of Creating Gmail Account. Gmail is a free service by Google Inc. Under this, google provides POP3 and IMAP web-mail service for free for everyone. In this service google gives 15 GB online space to every users for store some important documents online. There is a lot of advantages of creating a gmail account. Here I mention some important advantages. If you have a gmail account then you do not need to have a hard copy of your any personal documents with you. If someone needs some images, files, etc. urgently then you can easily send him/her by an Email. By creating an account google will give you 15 GB free online storage to save your personal files. Gmail is very easy to use. Now come to the point How to Create Gmail Account. So, friends first of all Open web browser in your device. Now simply Click here . After clicking the link you will come to the “Create your Google Account” page. Now here you have to enter all the details. 1. First Name Ex. – Ram and Last Name Ex. – Kumar. 2. Choose Your Username Ex. – [email protected] (Only unique). 3. Create Password. Enter Password what you want. and reenter in the next text field to check. 4. Enter your date of birth. Ex. – January | 31 | 2000. 6. Now enter your Mobile No. without country code. This is not compulsory. But I recommend you to provide Mobile No. 7. If you have already an Email ID then enter otherwise leave it. 8. Select Your Country name name and click on “Next Step” button. 9. After Clicking a new popup comes of Privacy and terms. simply scroll down and click on “I Agree” button. 10. Now your account has been successfully created and you will come to the Welcome Page. Like this. Thanks for creating a Google Account. Use it to subscribe to channels on YouTube, video chat for free, save favorite places on Maps, and lots more. I hope you like this article How to Create Gmail Account Step by step (Full Guide) and you have learn something new with the help of this article. Please Do Like, Comment and Share if you really like this.